An anonymous tip was the basis for a warrant for a SWAT team to hold small farmers at gunpoint in handcuffs while the cops took their okra and tomatoes and code compliance officers mowed the grass. Is your grass mowed to code? If sometimes not, maybe you’ll agree police militarization has gone too far. As Monika Diaz put it for WFAA on 12 August 2013, Owner irked after raid on Arlington’s ‘Garden of Eden’. Shellie Smith, the owner of Arlington’s “Garden of Eden” says police and code enforcement agents “destroyed everything” in a raid on August 2, 2013. You might be irked, too. This entry was posted in Agriculture, Law, Okra, Okra Paradise Farms, Safety, Tomato and tagged Agriculture, Arlington, Brown Dog, Georgia, Gretchen Quarterman, incarceration, John S. Quarterman, Law, Lowndes County, marijuana, militarization, Okra, Okra Paradise Farms, Safety, SWAT, Texas, tomato, Yellow Dog on August 17, 2013 by John S. Quarterman. Monsanto crops: same as and different from natural crops? If Monsanto’s crops are indistinguishable from non-GMO, aren’t natural crops prior art invalidating MON’s patents? The biotechnology industry has pulled a fast one with regards to the legitimacy of genetically-modified organisms (GMOs). Straddling both sides of the fence, multinational corporations like Monsanto continually claim that their GM monstrosities are “substantially equivalent” to natural crops when it comes to their safety. And yet at the very same time, this ilk also insists that its products are uniquely different from natural crops when it comes to enforcing its patents, a clearly hypocritical and duplicitous stance that proves the illegitimacy of the entire GMO business model. This entry was posted in Agriculture, Agrochemicals, Economy, Law, Okra Paradise Farms, Safety, Science and tagged Agriculture, Agrochemicals, Economy, GMO, John S. Quarterman, Law, Monsanto, novel, patent, prior art, Safety, Science on June 26, 2013 by John S. Quarterman. There’s quite the controversy about that recent study that shows that “inert” ingredients in Roundup are actually toxic. Apparently Dr. Séralini hit a nerve. No. EFSA has not requested raw data for the study as this information is not required at this stage of the review process.” —EFSA. Who previously actually did refuse to release raw data? Monsanto only released the raw data after a legal challenge from Greenpeace, the Swedish Board of Agriculture and French anti-GM campaigners. Here’s the European Food Safety Authority (EFSA)’s rather vague statement about the recent study and EFSA’s FAQ clarifying that statement. RESPONSE: Most GM crops are fed to farm animals, which have relatively short lives either for meat or dairy production and so there is probably not enough time for tumours to develop. Americans have been eating GM food (soya, maize) for only a relatively short time in significant quantities in processed foods. So it may be too short a period for long-term effects such as tumour formation to be noticeable. However, we should also note that there is no labelling of GM foods in the USA and no monitoring of the population for ill-effects, so if GM food were causing ill health this would be going undetected. This entry was posted in Agriculture, Agrochemicals, Food and Drink, Glyphosate, Health, Safety, Science and tagged adjuvants, Agriculture, Agrochemicals, damage, dilution, DNA, EFSA, Food and Drink, Glyphosate, Health, herbicide, John S. Quarterman, pesticide, poison, Roundup, Safety, Science, Seralini, surfactant on October 17, 2012 by John S. Quarterman. Roundup (you know, the stuff that’s sprayed on cotton, soybeans, peanuts, and corn and drifts across the road) causes DNA damage even when diluted down to 450 times less than what’s used in agriculture, according to a scientific study from February 2012. Glyphosate (G) is the largest selling herbicide worldwide; the most common formulations (Roundup, R) contain polyoxyethyleneamine as main surfactant. Recent findings indicate that G exposure may cause DNA damage and cancer in humans…. It’s probably not even the “active” ingredient, glyphosate, that’s causing this DNA damage, more likely one of its “inert” ingredients. This entry was posted in Agriculture, Agrochemicals, Food and Drink, Glyphosate, Health, Safety, Science and tagged adjuvants, Agriculture, Agrochemicals, damage, dilution, DNA, Food and Drink, Glyphosate, Health, herbicide, John S. Quarterman, pesticide, poison, Roundup, Safety, Science, Seralini, surfactant on October 17, 2012 by John S. Quarterman. Fox News hired Jane Akre and a couple of other reporters as an investigative unit and did a snazzy promo about that. The first case they investigated was Monsanto’s bovine growth hormone, RBGH. This is the whistleblower story behind the Fox Can Lie lawsuit. 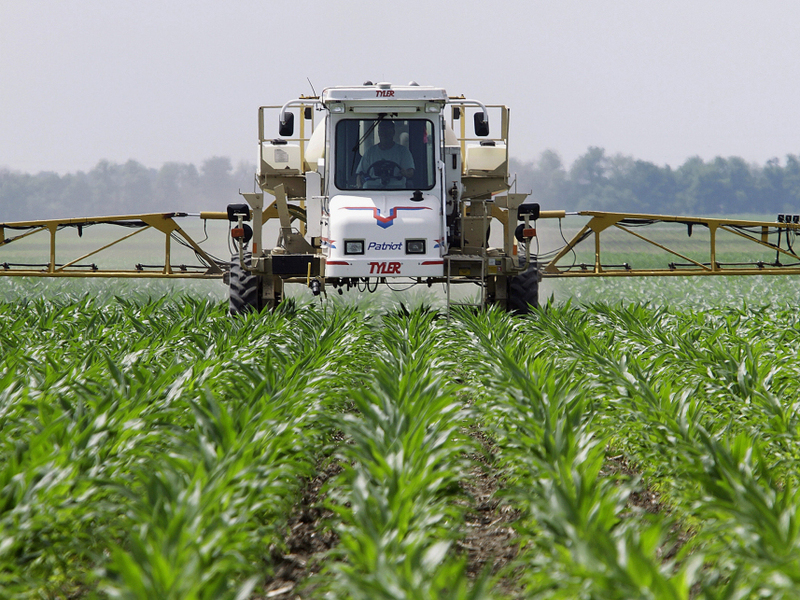 Monsanto’s engineered growth hormone did not comply with safety requirements. It could be absorbed by the body, and therefore did have implications for human health. Mysteriously, that conclusion was deleted from the final, published version of their report. That was for a product that U.S. EPA had approved with little or no testing. Fox’s investigative unit had the story, but Monsanto threatened to sue Fox. Watch the video for the details. This entry was posted in Agriculture, Agrochemicals, Cows, Health, History, Law, Safety, Science, Television and tagged Agriculture, Agrochemicals, bovine growth hormone, Cows, Fox, Health, History, Jane Akre, Law, lawsuit, lie, Monsanto, RBGH, Safety, Science, Television on August 30, 2012 by John S. Quarterman. Greed is Good for Poisoning the Food Supply? For many years big agro has treated the world’s health as an economic externality, a problem for somebody else that did not affect its own bottom line. That is starting to change, most recently in Argentina. In a developing news piece just unleashed by a courthouse news wire, Monsanto is being brought to court by dozens of Argentinean tobacco farmers who say that the biotech giant knowingly poisoned them with herbicides and pesticides and subsequently caused ”devastating birth defects” in their children. The farmers are now suing not only Monsanto on behalf of their children, but many big tobacco giants as well. The birth defects that the farmers say occurred as a result are many, and include cerebral palsy, down syndrome, psychomotor retardation, missing fingers, and blindness. 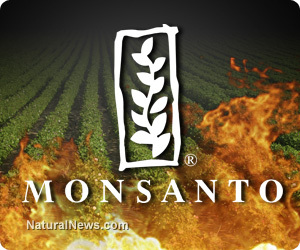 This would be the same Monsanto that was convicted of chemical poisoning in France. Still, it must be some obscure poison only sold in the third world, right? The majority of the farmers in the area used Monsanto’s Roundup, an herbicide with the active ingredient glyphosate that has shown to be killing human kidney cells. What’s more, the farmers say that the tobacco companies pushed Monsanto’s Roundup on the farmers despite a lack of protective equipment. In other words, these farmers — many in dire economic conditions — were being directly exposed to Roundup in large concentrations without any protective gear (or even experience or skills in handling the substance). Still, the farmers say the tobacco giants required the struggling farmers to ‘purchase excessive quantities of Roundup and other pesticides’. This entry was posted in Agriculture, Agrochemicals, Community, Economy, Food and Drink, Gardening, Glyphosate, Health, History, Law, Safety, Science and tagged Agriculture, Agrochemicals, Community, corn, cotton, Economy, Food and Drink, Gardening, Georgia, Glysophate, Gordon Gekko, greed, Health, History, Law, lawsuit, Lowndes County, Monsanto, peanuts, poison, Safety, Science, Soybeans, tobacco, Wall Street on April 13, 2012 by John S. Quarterman. Wishful thinking. That’s why Monsanto unleashed crops and pesticides that are both poisonous to humans. Wishful thinking. Also known as greed. Considering how hard it had been to create those crops, “the thinking was, it would be really difficult for weeds to become tolerant” to Roundup, says Rick Cole, who is now responsible for Monsanto’s efforts to deal with the problem of resistant weeds. So they thought small scale would be the same as saturating 90+% of every corn, soybean, peanut, and cotton field in the U.S. and numerous other countries with virulent poisons. Because they wanted the money. This entry was posted in Agriculture, Agrochemicals, Economy, Glyphosate, Health, Plants, Safety, Science and tagged corn, cotton, Glysophate, greed, Monsanto, peanut, poison, Roundup, soybean, superweeds, toxic on March 11, 2012 by John S. Quarterman.